Last summer,photos of Aylan Kurdi, a 3-year old Syrian refugee surfaced on the web, shocking the international community. To flee the violence in Syria, he boarded a rubber boat with his family, with the intent to cross the Mediterranean Sea and reach the safety of Europe. Unfortunately, the boat capsized within 5 minutes of the ill-fated journey; his lifeless body was discovered on the shores of a Turkish beach, sparking international outrage. His tragic death called the world’s attention to the global refugee and migration crisis, and the appalling lack of action for solving this human rights problem. Subsequently, the Obama Administration announced its intention to resettle a small number of refugees in the United States, and effectively, brought about a unique opportunity to raise awareness of the issue. A grant was made available by the International House New York City, the former dorm of the founder of the “New Citizen Project”, during the time in which he was a student at Columbia University. 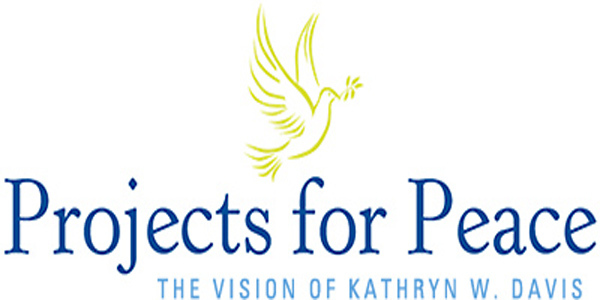 Project for Peace was created through the generosity of Kathryn W. Davis ’30, an I-House alumna and lifelong internationalist and philanthropist dedicated to finding new ways to advance world peace. Upon winning the grant in March 2016, this unique project was born. Our founder Shahbaz Salehi, a Columbia University graduate and first generation immigrant, understood the need for positive action in the face of a man-made crisis. The plight of refugees and migrants are often ignored or dismissed—regarded as a burden to society, they are usually thought of as a drain to government services with little to offer the host country in return. The reality is that refugees often have a lot to give to our communities: with the right assistance, they can offer their advanced skills and education for the benefit and prosperity of our economy and society. New Citizen Project was launched to revitalize local economies by supporting the entrepreneurial energy and talent that exists in every neighborhood, and in every newcomer to this country. We believe that through successful integration and assimilation, we can uphold our values for compassion and justice while strengthening the prosperity of our communities. Our team includes experts in the fields of public policy, medicine, engineering, law, and business. We have no political or religious affiliation. Rather, what we have in common is a shared vision to help refugees integrate in the United States as productive members of our community.